The US-based private equity firm Carlyle, is suing the Moroccan government for over USD 400 million in the International Center for Settlement of Investment Disputes (ICSID), claiming the sum is equivalent to the profit lost when Morocco’s sole refinery went bankrupt three years ago, Moroccan media outlet Medias24 reported. Nevertheless, “if a resolution of this dispute is not quickly achieved, the Carlyle Entities intend to submit their claims to the arbitration of ICSID,” where they intend to claim a compensation greater than USD 400 million, to recover the unfulfilled commitments made by the SAMIR (Société Anonyme Marocaine de l’Industrie du Raffinage), which was once a flagship of the refining industry in Morocco before it shut down. In 2015, the Moroccan government seized the SAMIR refinery after it charged the company USD 1.35 billion in unpaid taxes. Faced with new financial struggles from the 2014-2015 oil price crash, SAMIR, which operated the refinery in Mohammedia, was forced to cease production and was liquidated in 2016. According to the statement, the US investment fund accuses the Moroccan government for the “transfer,” “seizure,” and the “collection” of crude oil and refined petroleum products, belonging to Carlyle Group, that were stored in the tanks of the SAMIR refinery. After the Court of Appeal of the Casablanca Commercial Court decided SAMIR’s final judicial liquidation in 2016, the company struggled to proceed and asked for several extensions for the liquidation process. 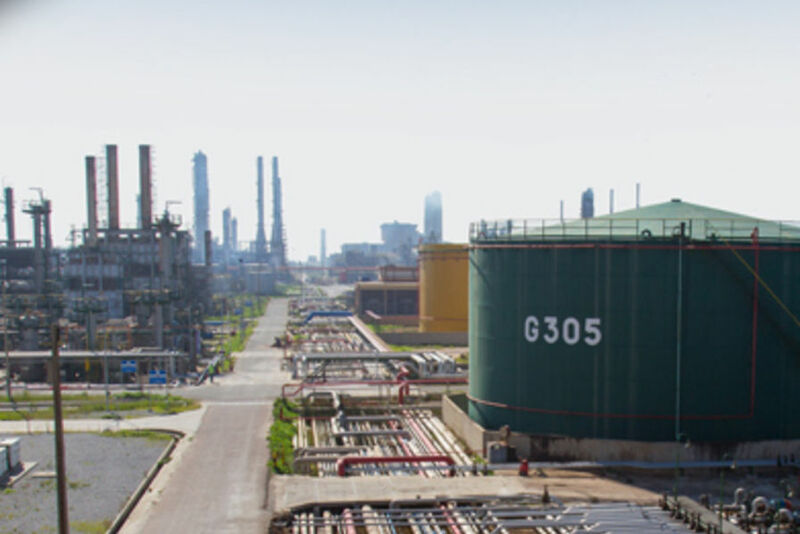 The company has repeatedly insisted that the plant needs to restart production so creditors, including the Carlyle Group, can gradually recoup the money (USD 600 million), which the refinery had secured from them before its closure. It is believed that SAMIR’s collapse left some of the world’s biggest trading firms, including Carlyle, with unpaid debts of over USD 1 billion. As of spring 2017, several foreign investors expressed interest in purchasing the troubled refinery. The Swiss giant Glencore and the Carlyle Group teamed up to bid on the Samir refinery, in hopes of recovering about USD 600 million in losses stemming from the SAMIR shutdown, but to no avail. A few days later, the Carlyle Group decided to file suit in the United States District Court for the Southern District of New York, against insurer MS Amlin, previously known as Mitsui Sumitomo Insurance Underwriting, after the company refused to cover the losses. Carlyle Commodity Management, a subsidiary of Carlyle Group formerly known as Vermillion Asset Management, told the court that it holds about 7 million barrels of crude and oil products stored at the refinery and that SAMIR had emptied these holdings without the notifying and obtaining the consent of the private equity firm in 2015. In January 2016, the Carlyle Group first filed for insurance coverage from MS Amlin, after concluding that the oil could not be recovered. The insurers denied coverage and explained in court documents that Carlyle was a lender and did not actually own the oil it claimed was lost and therefore was not entitled to insurance coverage. MS Amlin also accused Carlyle of not properly mitigating its alleged losses, citing it a breach of their contractual duty. Now the Carlyle Group has taken its disagreement to court and formally accused MS Amlin of going back on its agreement to cover losses, as shown in court documents cited by Reuters. The dispute is still ongoing.